Any website can benefit from the use of a content management system (CMS). A CMS increases the speed at which you can get your messaging onto your website, and thus, to your customers. Content can be updated easily by multiple users without any knowledge of HTML or programming. Various levels of permission let you control who can submit new articles or who can change the entire site structure and everything in-between. 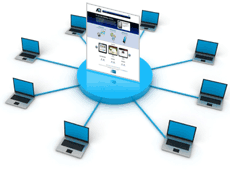 A CMS also allows you to use individual pieces of content in multiple locations. When this content is updated, it is updated everywhere. A CMS can be used to manage workflow. A contributor can submit an article or webpage change, then an editor can review the content, and finally, an editor-in-chief or primary stakeholder can approve the new content to go live to the website. Most importantly, this process can be handled without waiting for your IT team. Lastly, a CMS allows easy content access and organization. It allows you to quickly manage images, documents, video, and more. ACI provides setup, support, and training for multiple CMS options including Joomla, WordPress, Drupal, and Ensemble (Virginia Tech proprietary). Learn more about Joomla, WordPress, Drupal, or Ensemble.